An effective competency assessment can provide valuable insight that helps an organization direct their learning & development activities, formulate individual coaching & learning plans, inform selection interviewing questions and refine job role descriptions- to name a few outcomes. Unfortunately most participants view assessments in the same light as they might a colonoscopy- necessary but incredibly invasive and uncomfortable. Not exactly something they circle on their calendar and anticipate with unbridled enthusiasm! Why is it that a tool that can provide so much richness to the organization is held in such low regard by participants? In my experience, it is because the majority of the assessments deployed fail to meet the most basic ‘tests’ that are foundational to any competency assessment. This results in a very low level of engagement with both the process and results by all who participate and consequently very little yield for the disruption created. Here are four (4) questions or ‘tests’ to determine whether your assessment is actually designed to measure competencies and deliver on the promised outcomes. 1. Are the competencies selected for inclusion in the assessment linked to business challenges or objectives? If the primary objective is developing employees in order to achieve organizational objectives- how can the business objectives NOT be considered in the configuration of the assessment? 2. Do the competencies describe specific behaviors needed to execute the job roles targeted for assessment? Aren’t behaviors the most reliable indicator of performance vs relying what people say (opinions or attitudes)? 3. 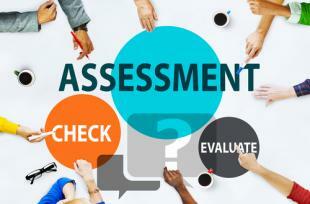 Is the assessment configured to address important differences between job roles, job levels and business units? How can you ensure the assessment is relevant to participants if important differences across job roles and business units are not considered? 4. Does the assessment help establish job role & job level competency proficiency standards? Do you want there to be a shared understanding of the expected behaviors across the organization or would you prefer it be left up to individuals to determine? There is no doubt that even the best designed assessment will be disruptive to the organization and engender concern from participants regarding it’s ‘true’ intent the and use of the output. If the intent is to measure competencies, then is critical that the assessment you deploy is truly a ‘competency assessment’ that generates actionable and meaningful output. The four (4) questions above will help you quickly identify whether yours is a competency assessment or an employee survey! About the Author: Christoper J. Quinn is the Founder of Imprint Learning Solutions. Imprint Learning Solutions creates elearning that improve the effectiveness of marketing teams and individuals, impacting more than 12,000 marketing professionals since its inception. You can find Imprint Lerning Solution’s course catalog on OpenSesame here.